Many people process information better when it is presented in a visual manner. Use these money graphics to add appeal to your blog posts, marketing, PLR content and so much more. 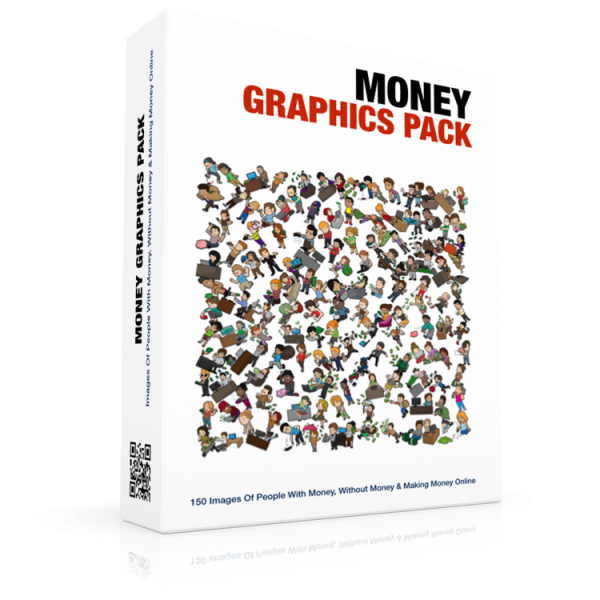 This PLR graphics pack has 150 money related images. They were all created by our in-house designer and are original images that you won’t find anywhere else. The images will be delivered in PNG and Vector PDF formats. PNG files are a minimum of 1000 x 1000 pixels in size. Vector PDF files can be made as big or as small as you need them.